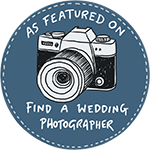 Wirral and Destination wedding photographers Pixsmiths Creative Photography are proud to be a member of Wirral Professional Wedding Services. 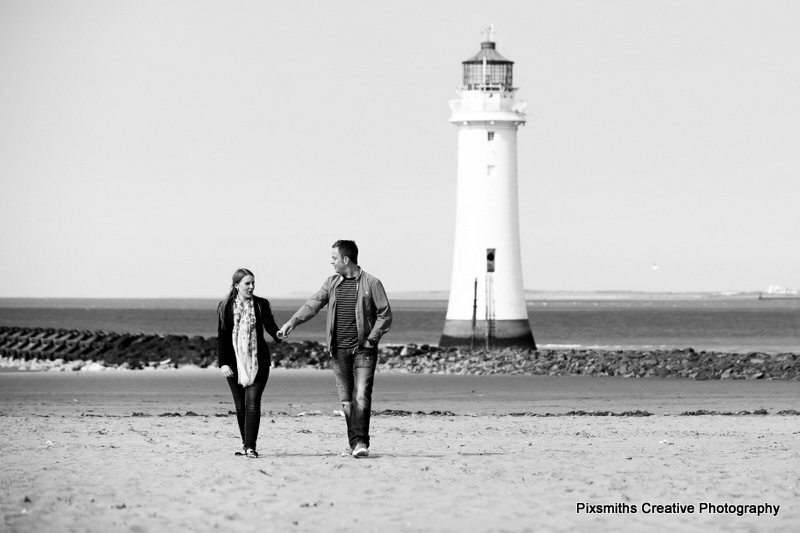 WPWS, established March 2012 is a rapidly growing on-line virtual bridal fayre. 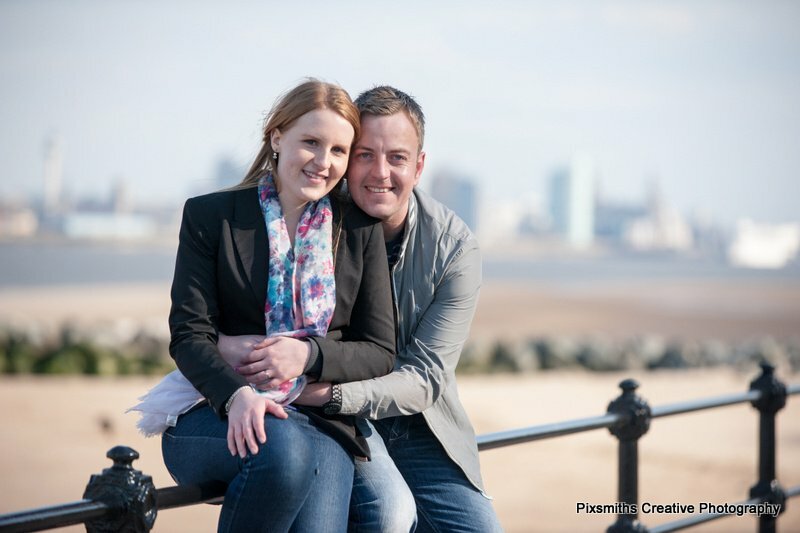 Suppliers are Wirral based and are all trusted professionals who have had there relevant insurances and certificates checked by the admins. 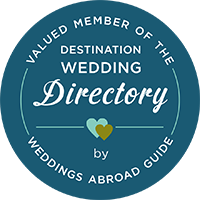 Its a great resource for brides looking for wedding suppliers with many years of experience providing a quality service. 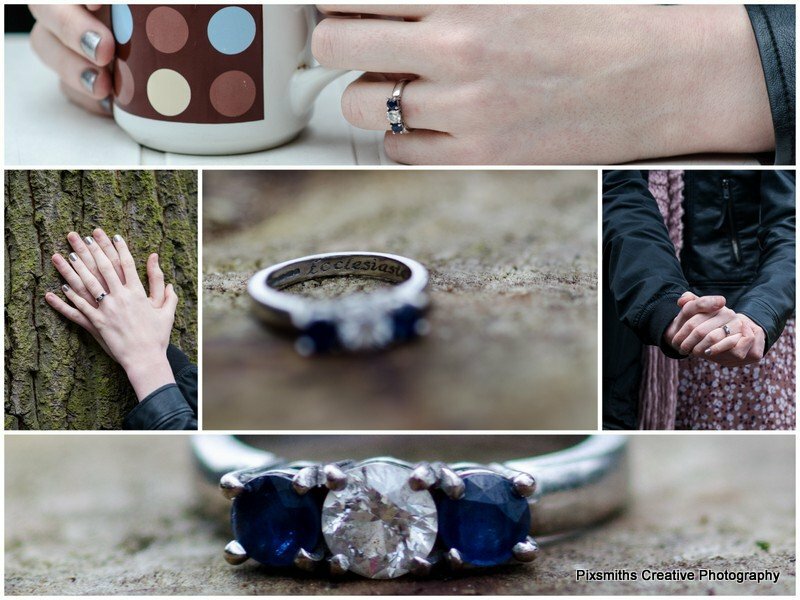 The group meet monthly to network socially, discuss all things weddings and have had a wide variety of speakers on such topics as social media, branding, marketing, TV and radio adverting and The Federation of Small Businesses. 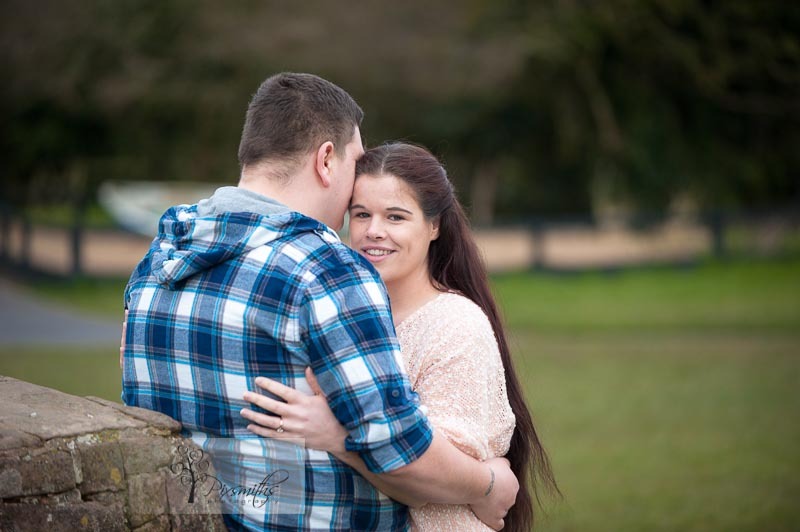 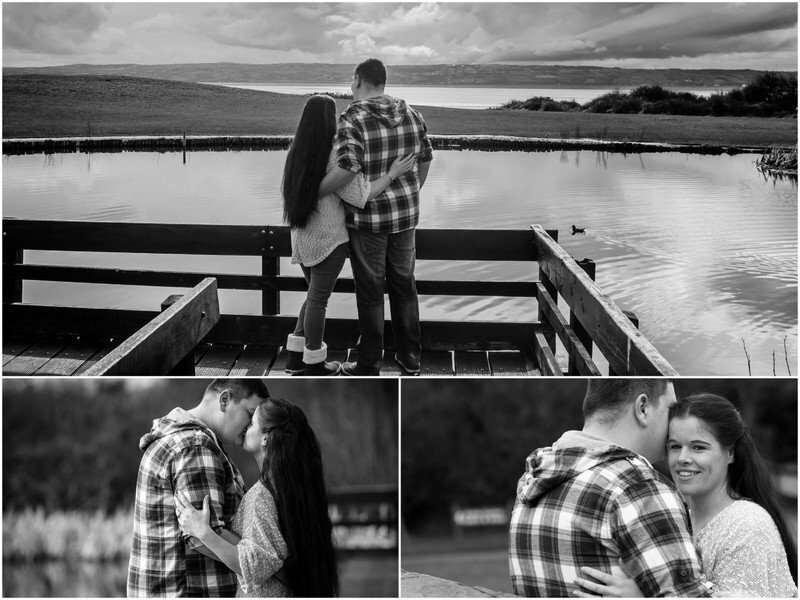 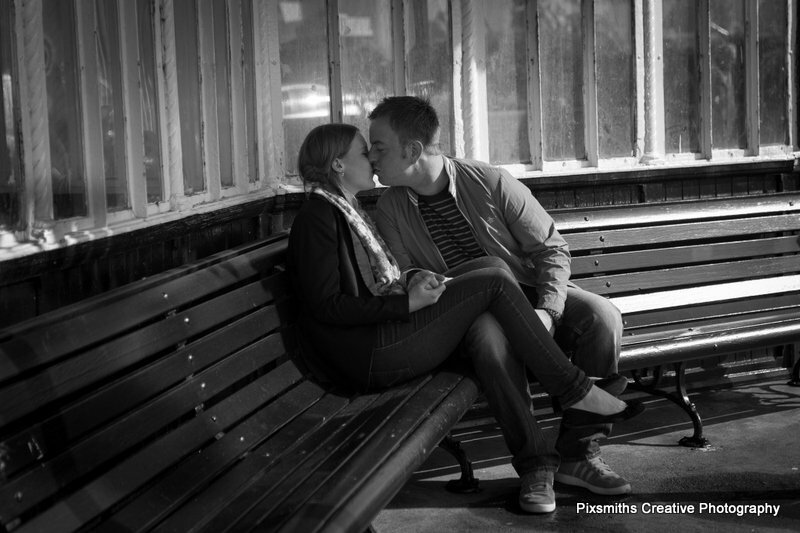 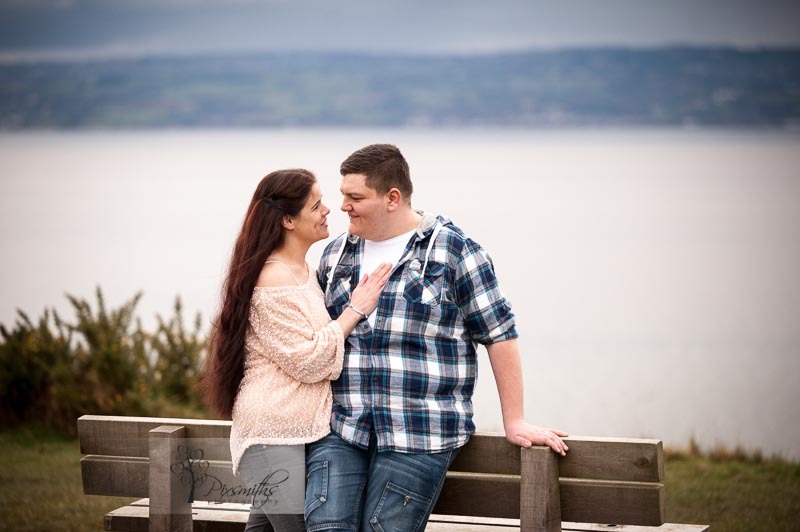 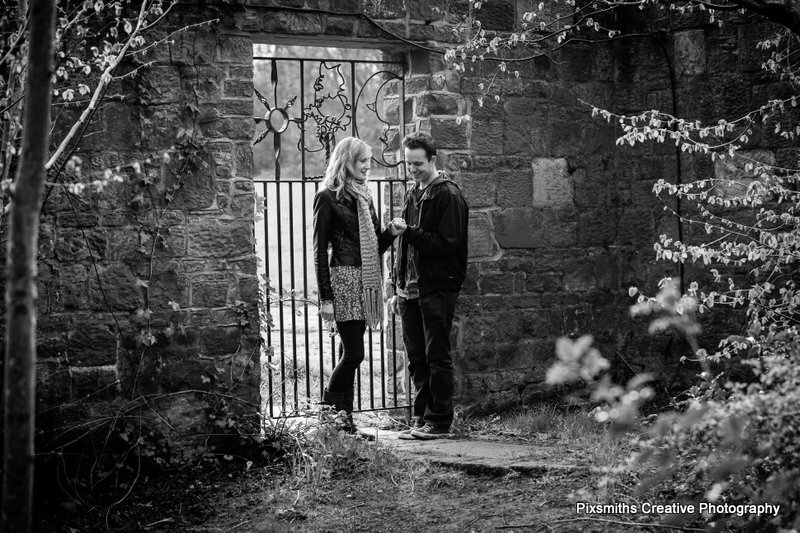 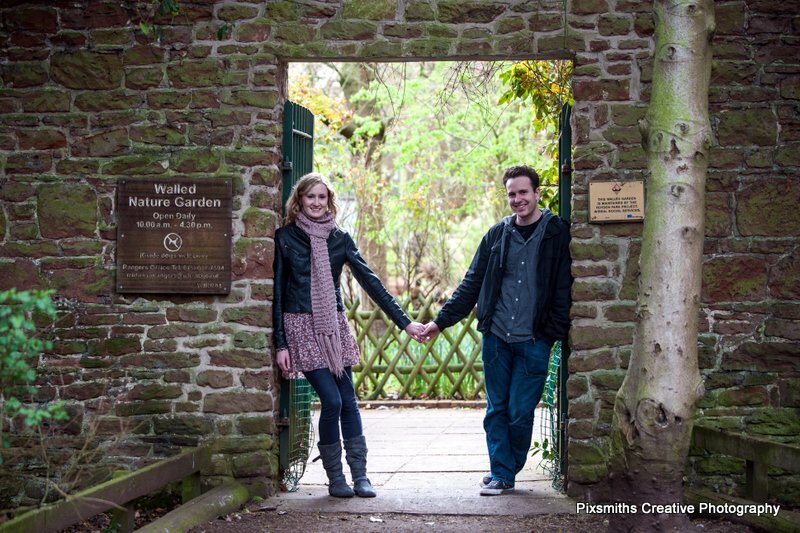 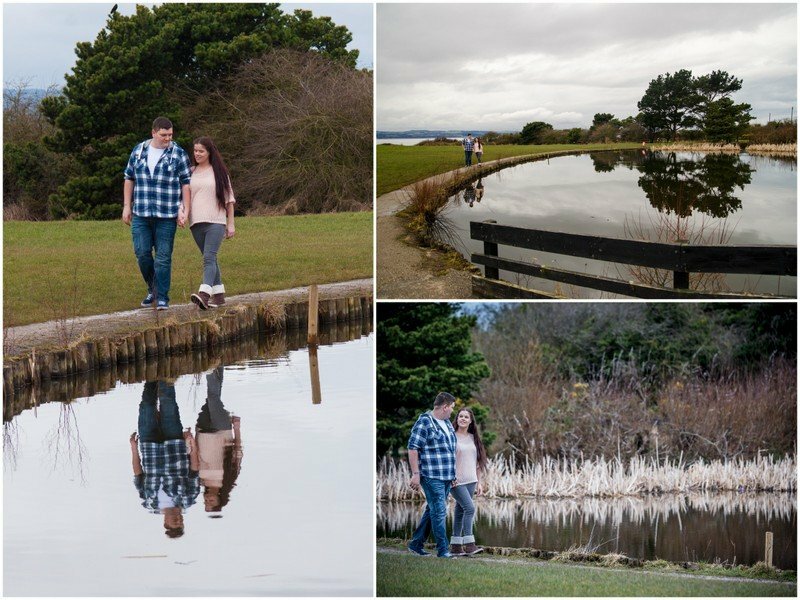 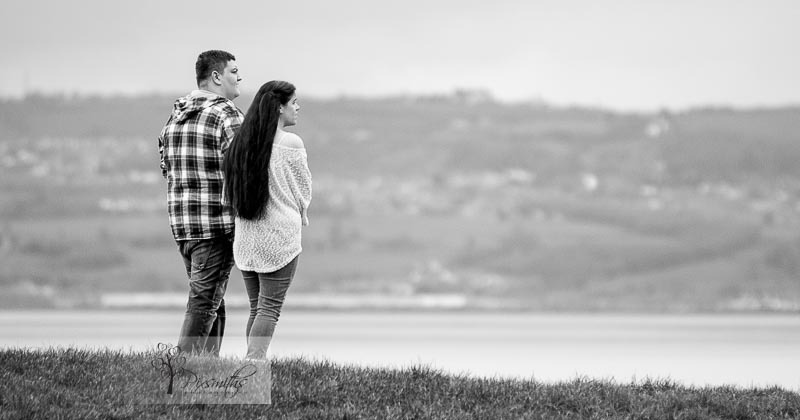 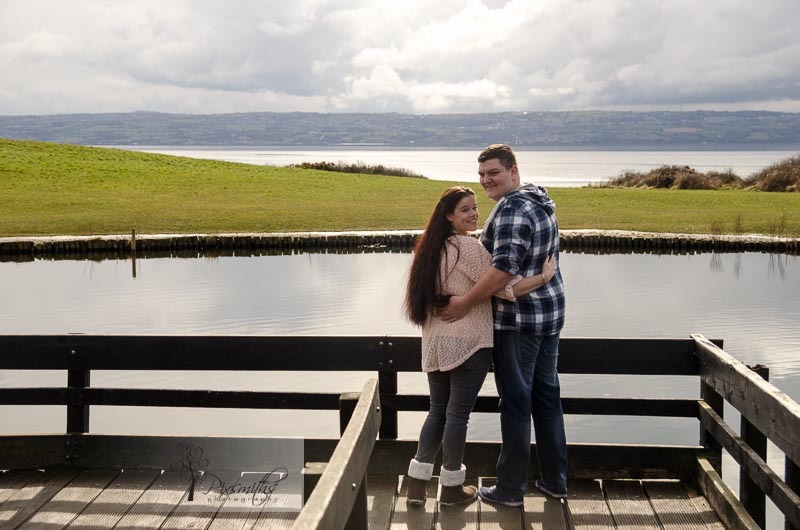 Members also contribute to monthly contributions and pixsmiths were delighted to offer a 1 hour pre wedding shoot to one lucky couple – Aaron and Lisa. 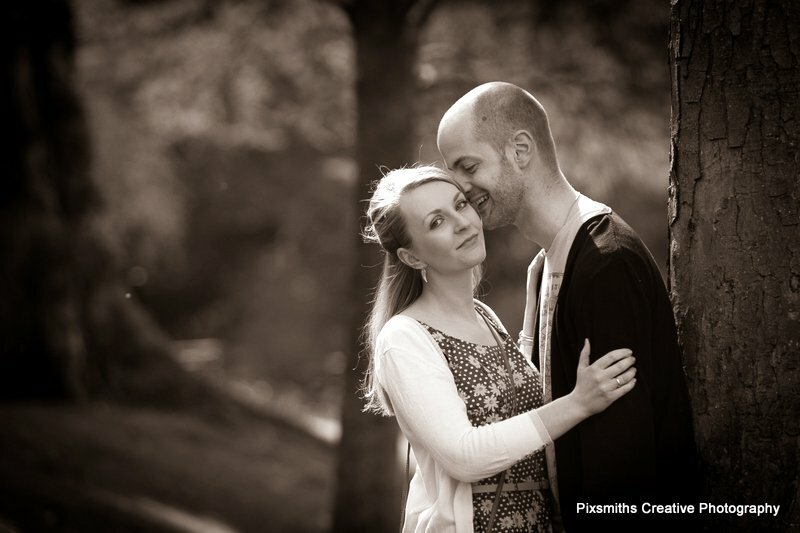 All they had to do was simply register their interest at http://www.wpws.co.uk/brides-register/ simple! 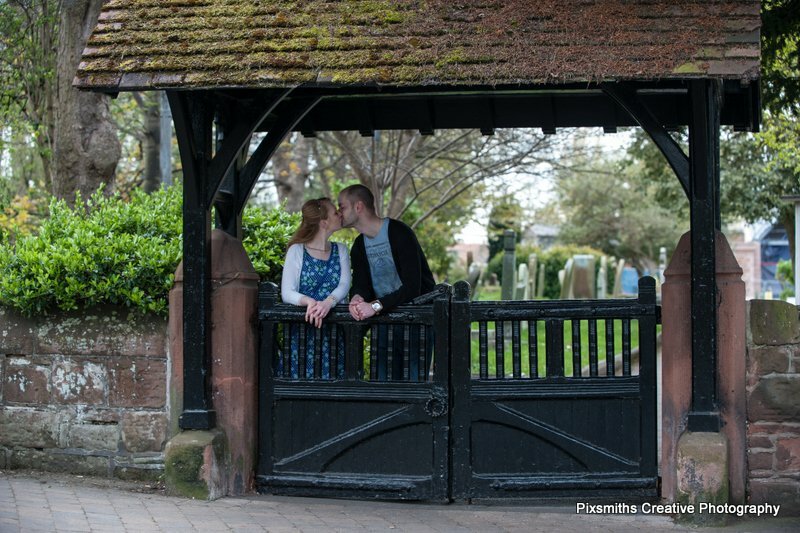 They chose the beautiful village of Port Sunlight for their location shoot. 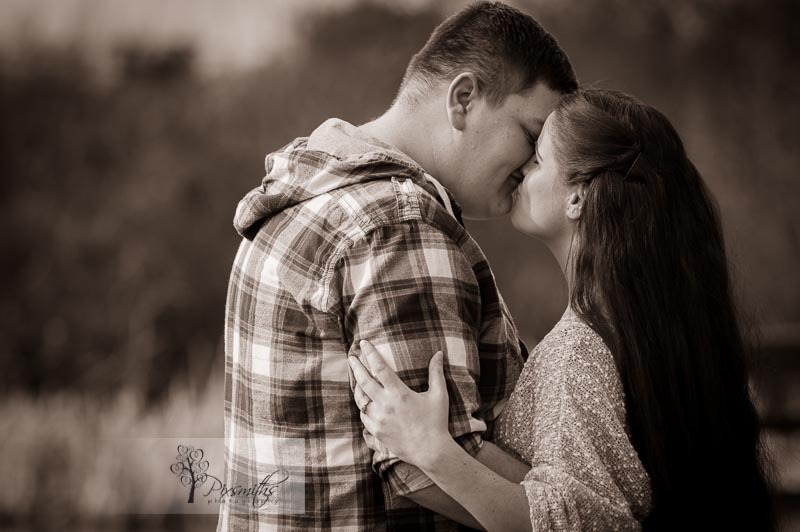 This first image is the one Lisa and Aaron chose for their free print and they are free to purchase more from their on-line gallery. 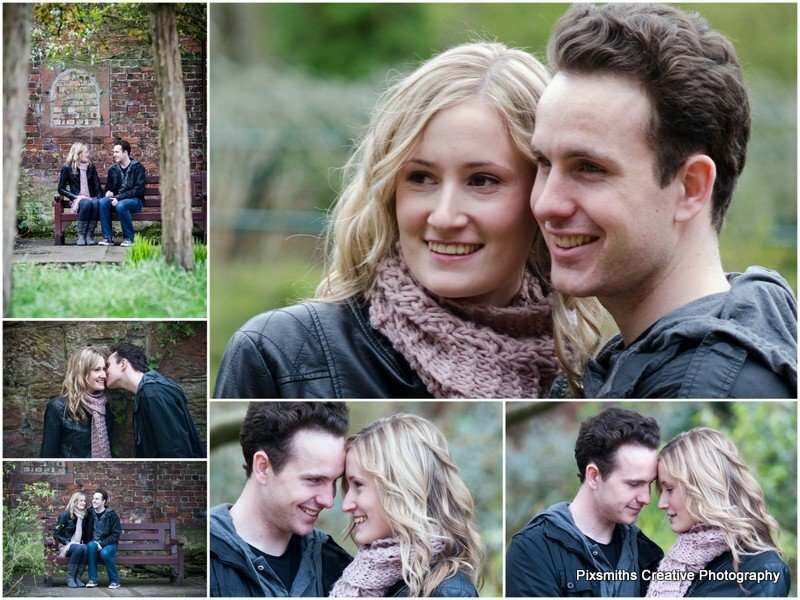 Here are a few more of the images taken on the day too. 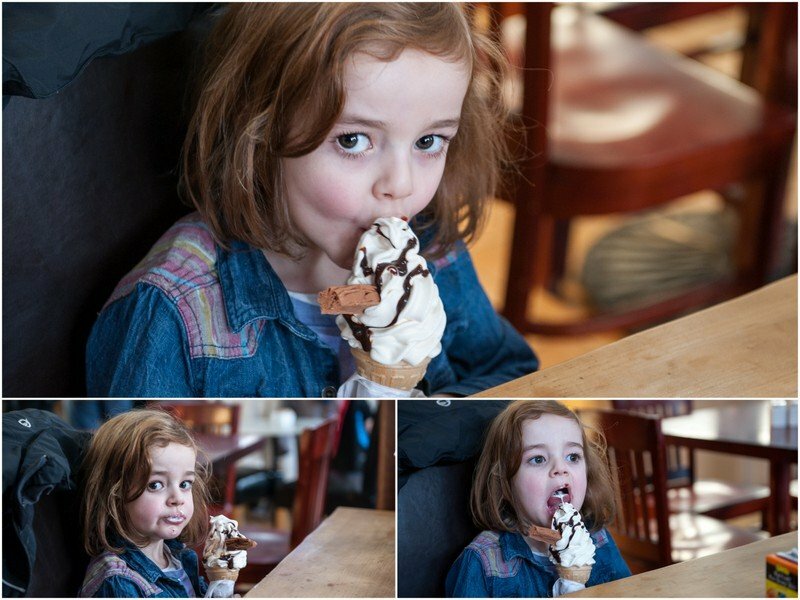 it was supposed to be a wet grey miserable day, but it wasn’t :-)…well not until we were done and having a coffee in the cafe. 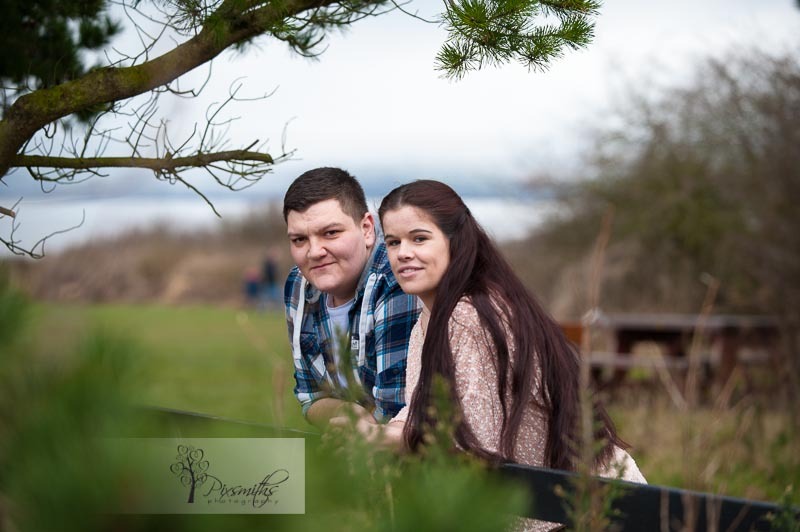 This couple – Jeanette and Michael – deserve to have sunshine and good things happening to them, they have been through some tough scary times. 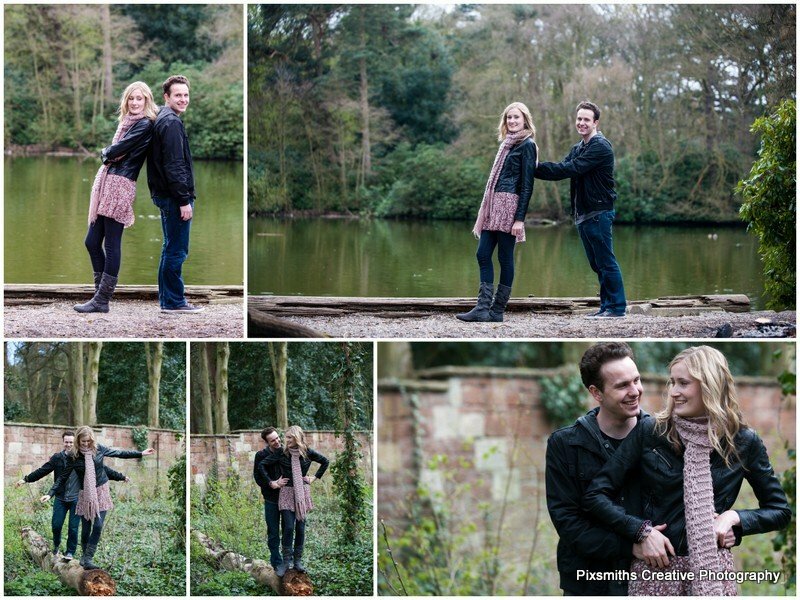 with their family. 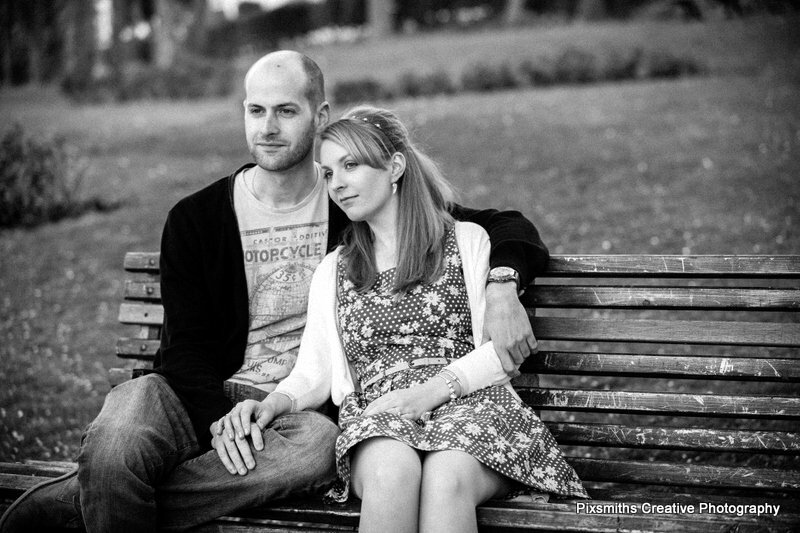 …but no worries and within 2 minutes we were completely relaxed with each other and I hope you agree Pixsmiths got some lovely natural together shots for them. 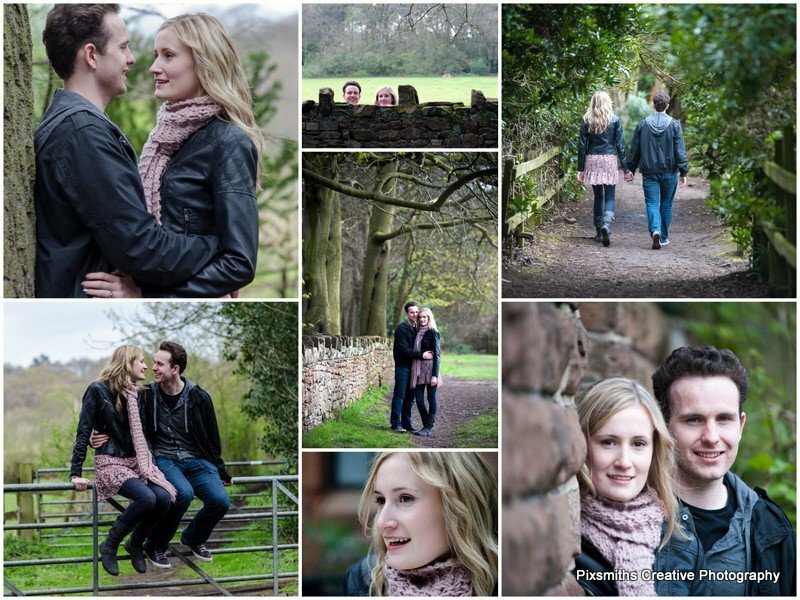 Here we are at Thurstaston Country Park – a place which has lots of memories for them – enjoy! 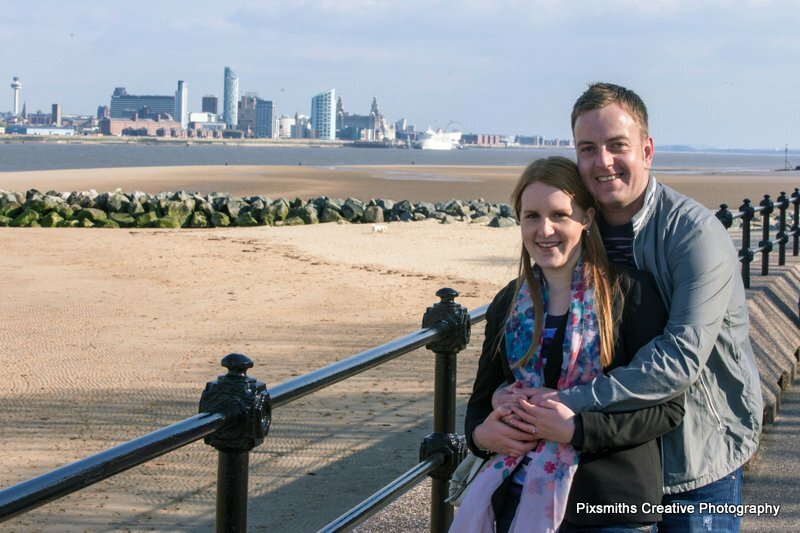 Looking forward to their wedding in Liverpool now in the summer even more. 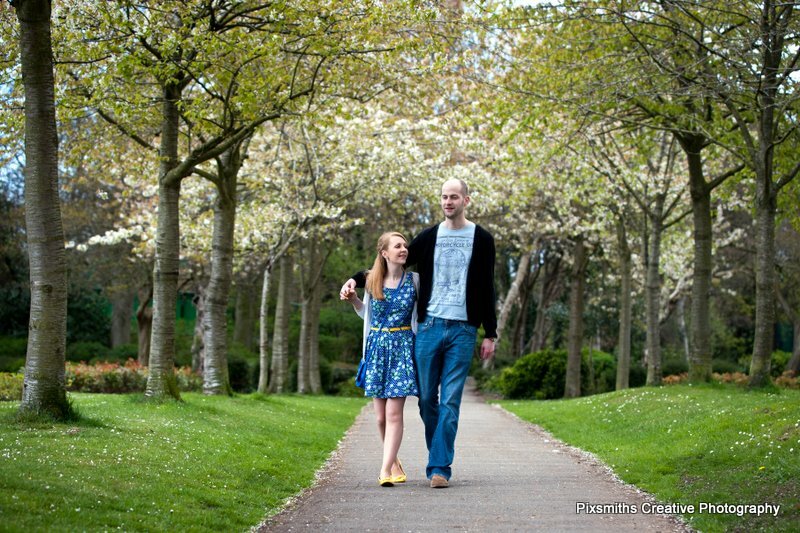 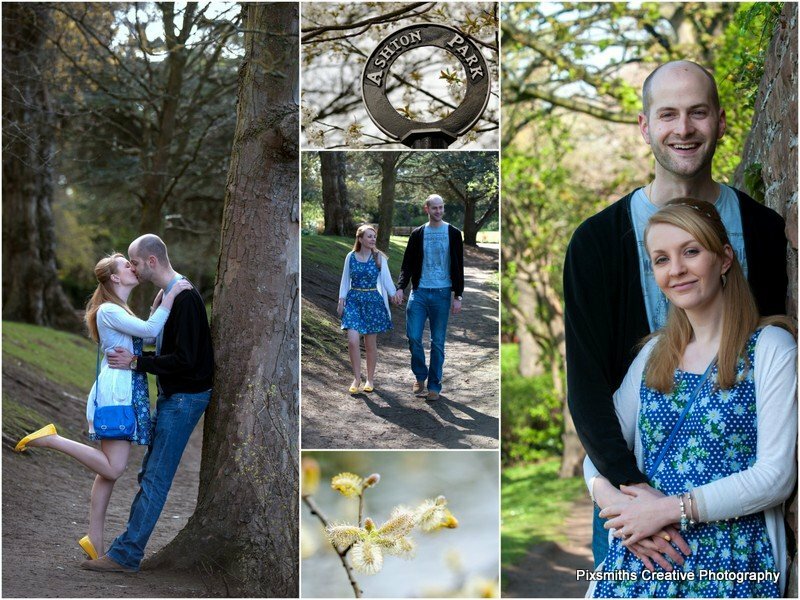 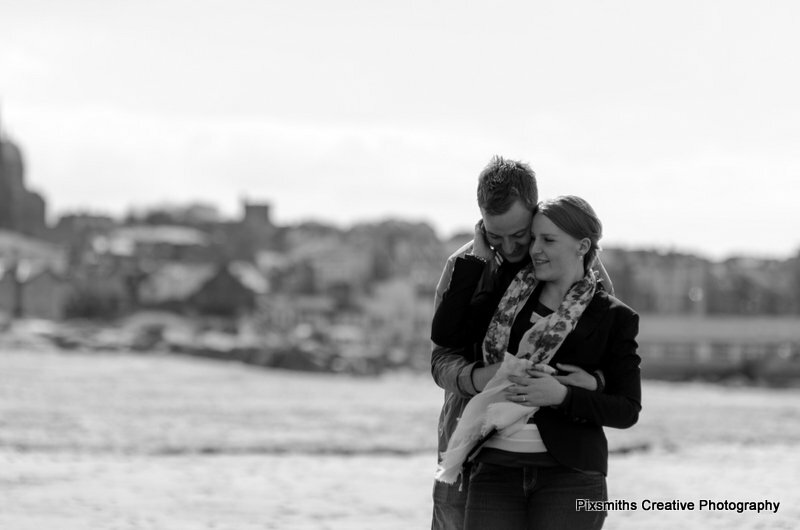 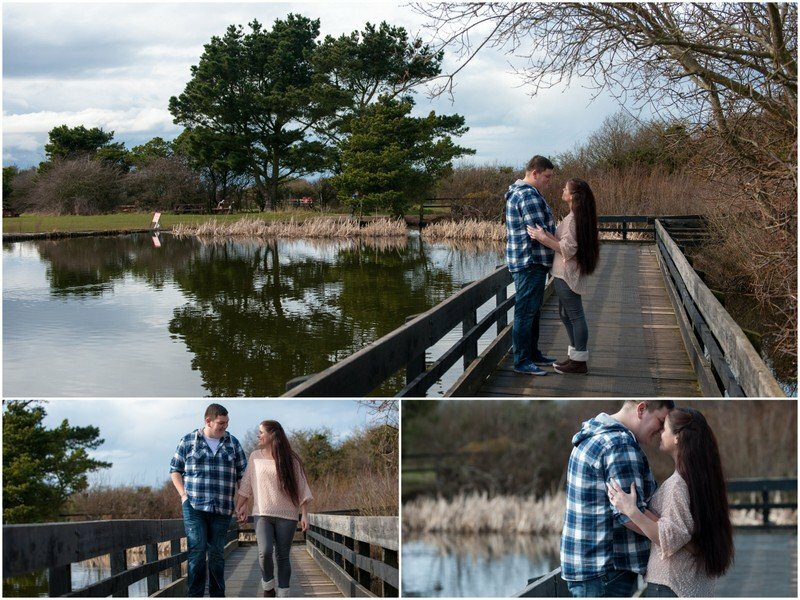 A walk in our own local Aston Park in West Kirby was the setting for Selina and Martin pre wedding session. 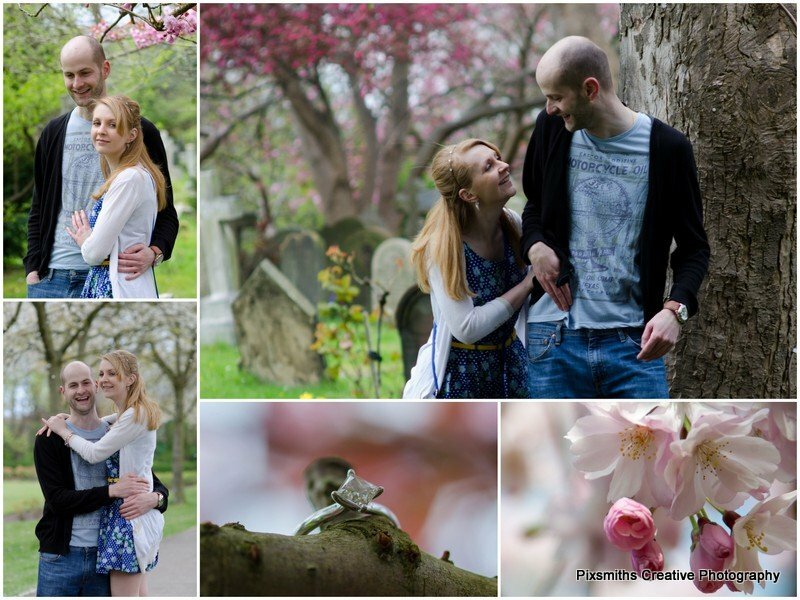 Lovely spring blossoms in the park and we caught some sunshine before the rain came in the afternoon. 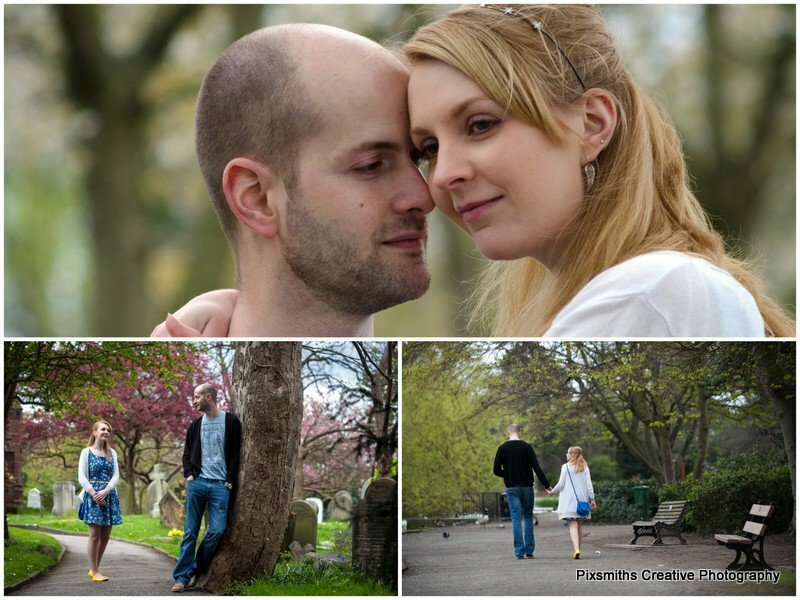 Selina loves colourful shoes, yellow for this occasion, which added a lovely splash of colour to the images. 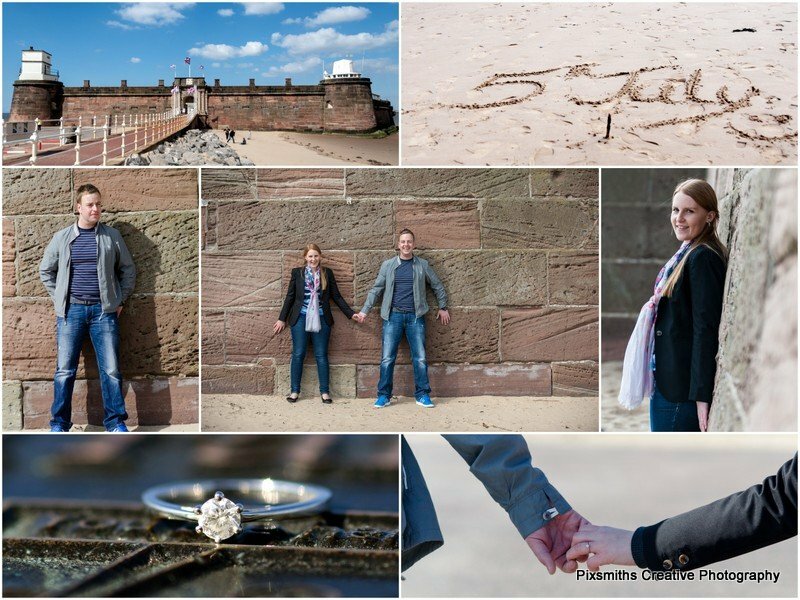 We know what colour shoes she will have on her wedding day – at Rowton Hall this autumn – but you’ll have to check back to find out! 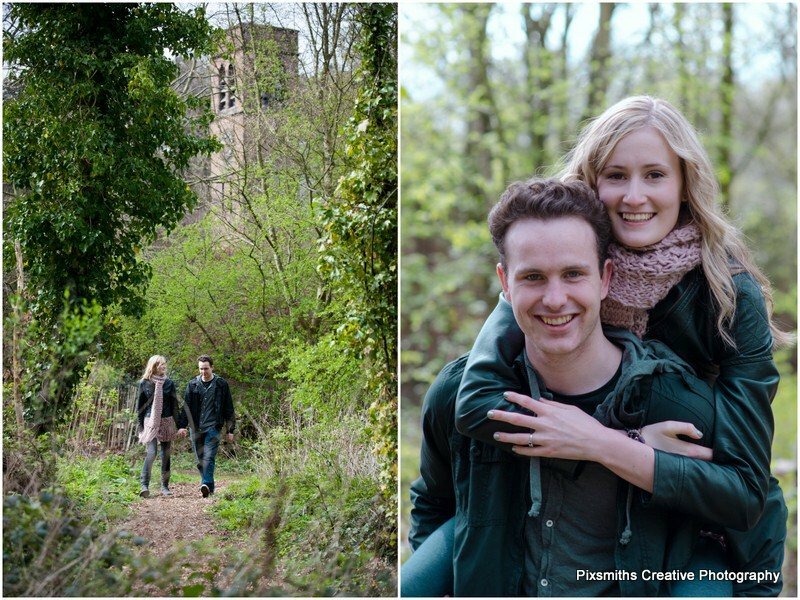 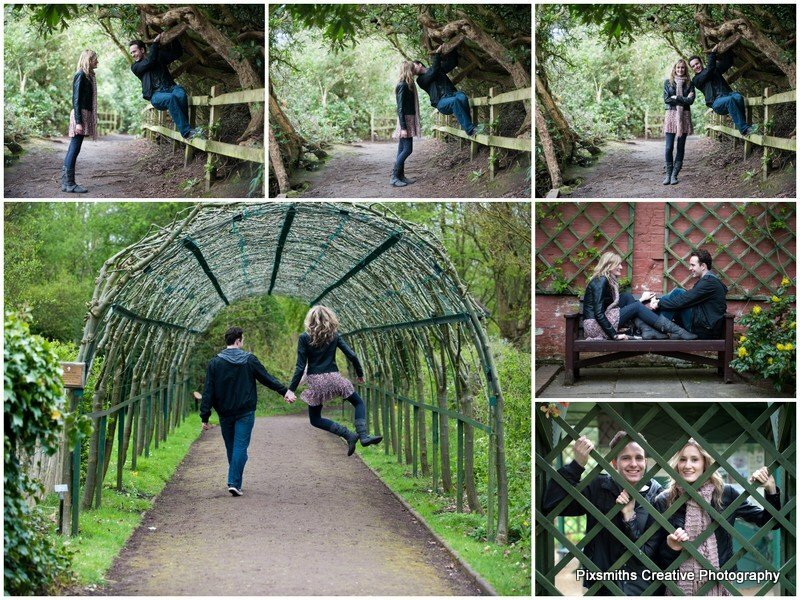 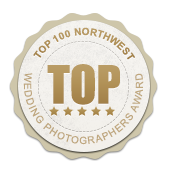 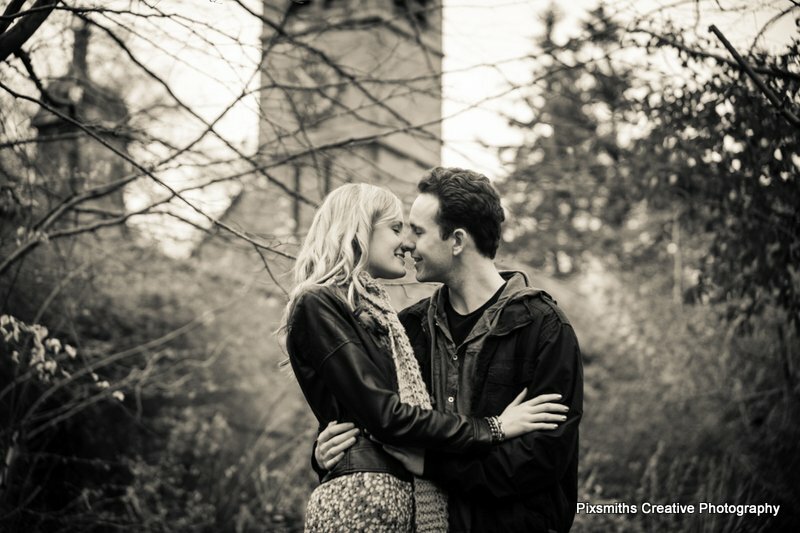 Hope you are enjoying all these pre-wed shoots we’ve been blogging recently – soon it will be all the weddings! 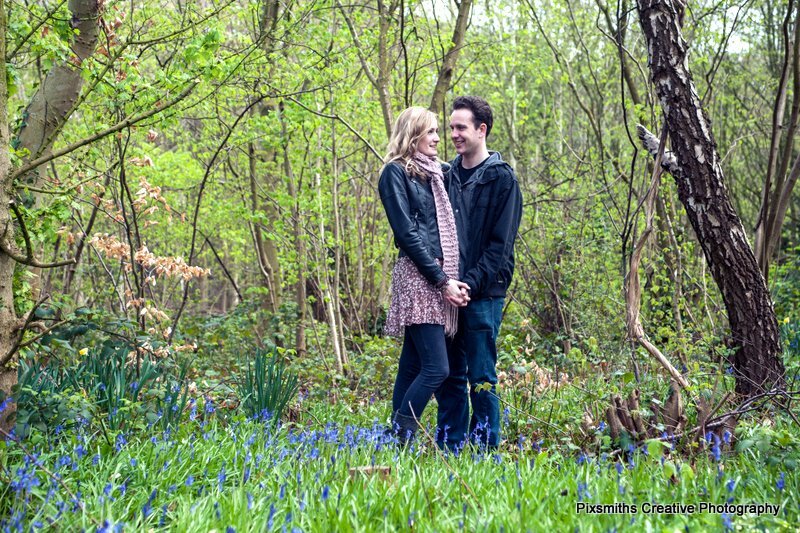 Beccy and Rob are having a summer church wedding followed by reception at Brook Meadow we are looking forward to. 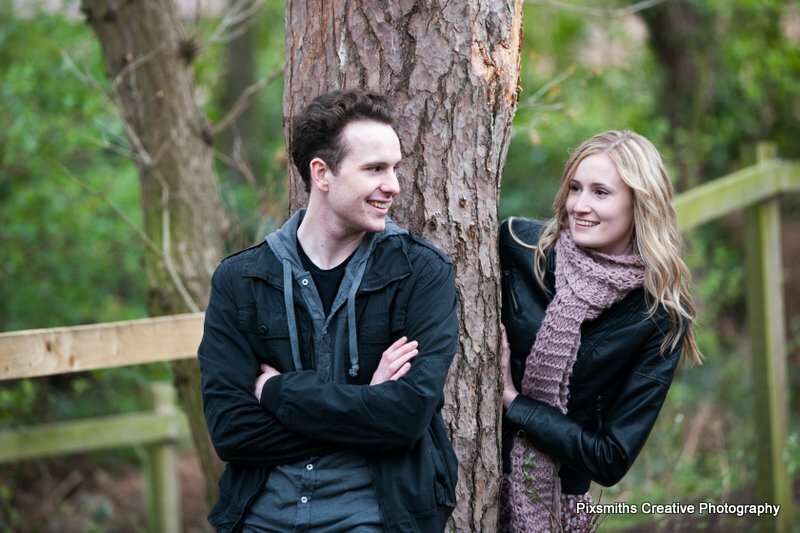 First we caught up with all their news whilst we took some photos of them in the delightful Royden Park. 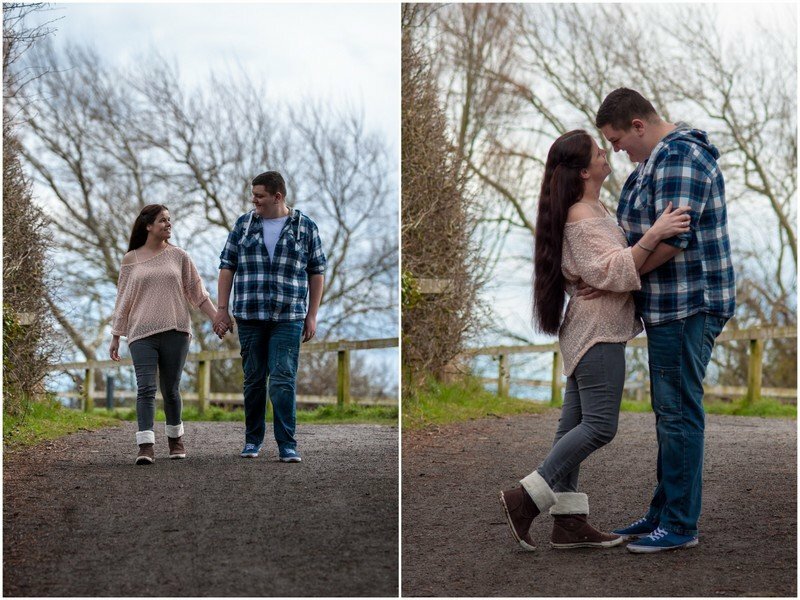 Our couples are really enjoying these pre-wed or engagement shoots, a chance to get to know you and reflect your personality through the images taken. 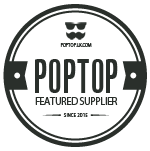 Its not all about our ideas but yours too. 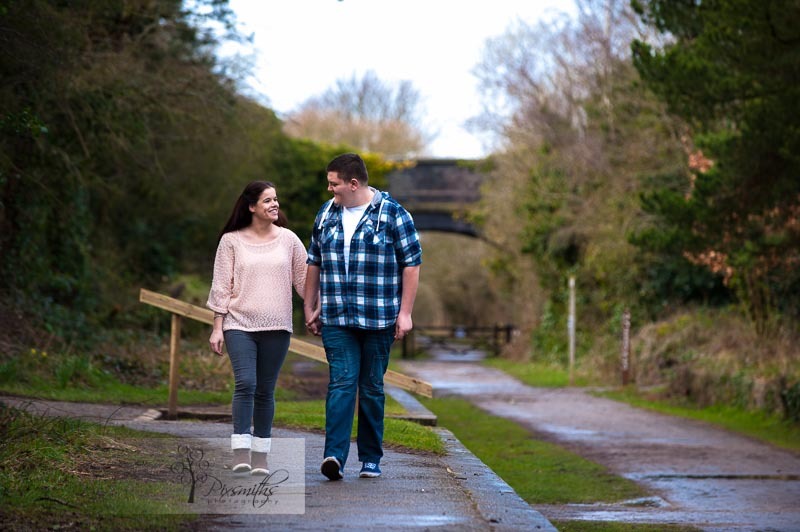 Beccy and Rob were great fun and real naturals. 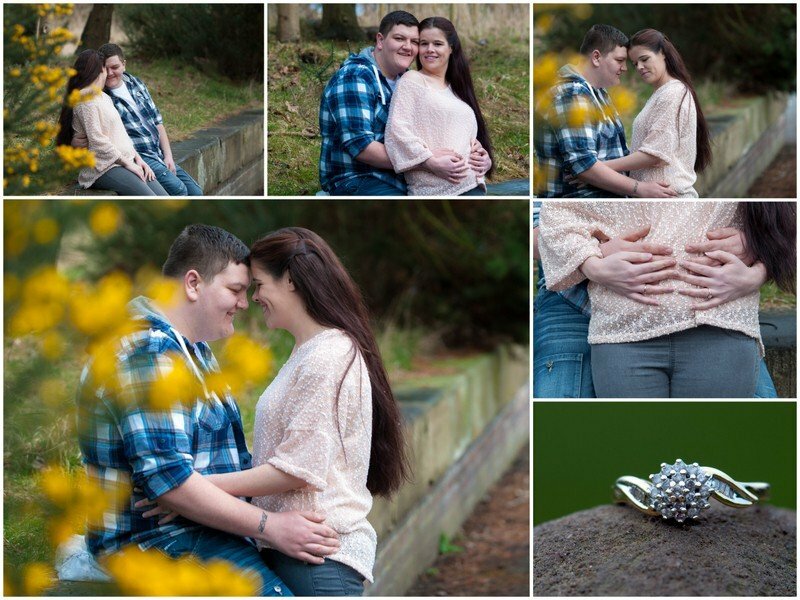 Beccy has a beautiful engagement ring – and we love to take ring shots – it is inscribed with a bible reference from Ecclesiastes – “two are better than one” how beautiful is that! 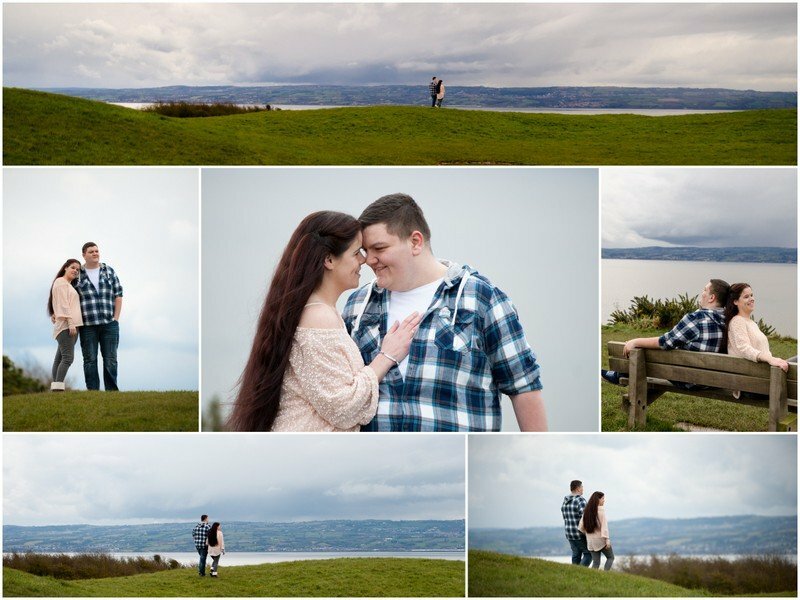 Here are some of our favs from the session. 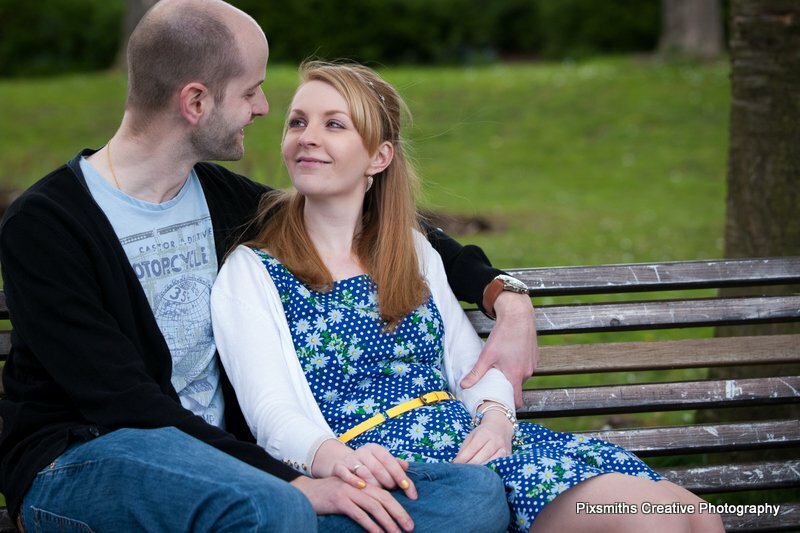 If you’d like an outdoor portrait session with natural fun photos don’t hesitate to contact us! 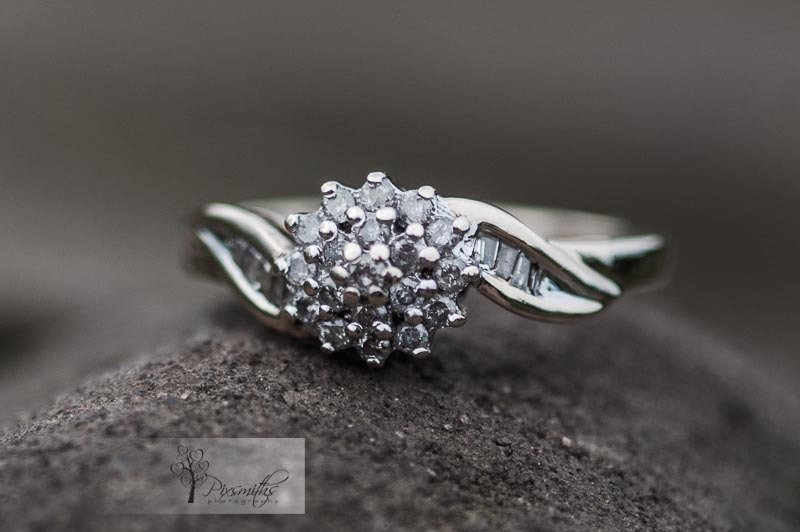 Its not obligatory to be engaged either! 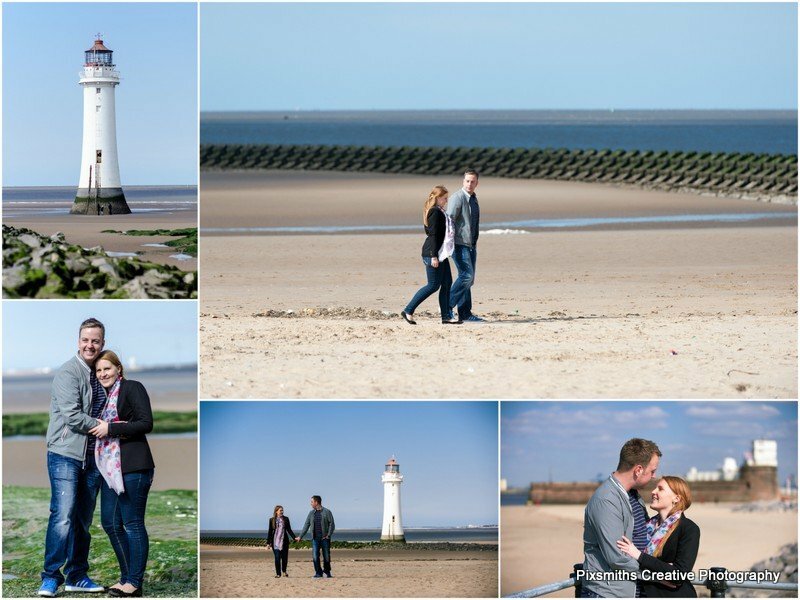 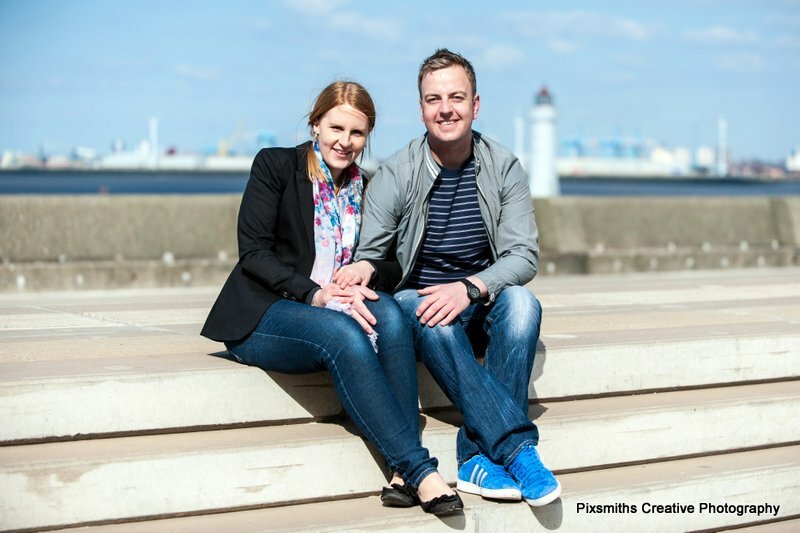 The recent Easter break was the ideal chance to catch up with Rob and Laura in New Brighton for their pre-wed shoot. 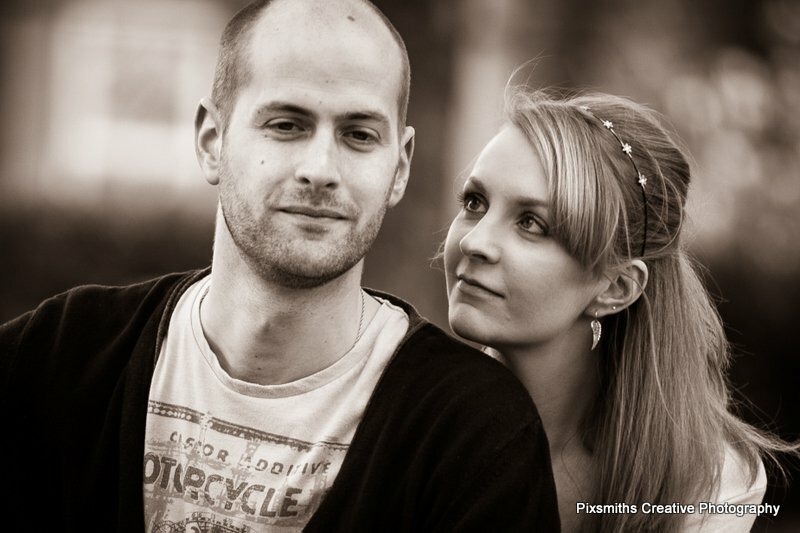 Lovely to finally meet with Rob too who is stationed in Cyprus with the RAF. 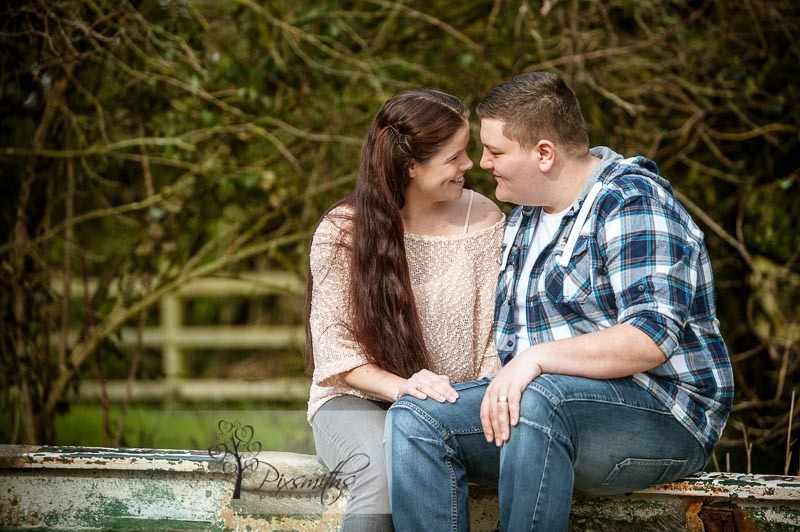 These sessions are all about getting to know each other before the day, getting relaxed in front of a camera and of course some lovely images which are yours to keep! 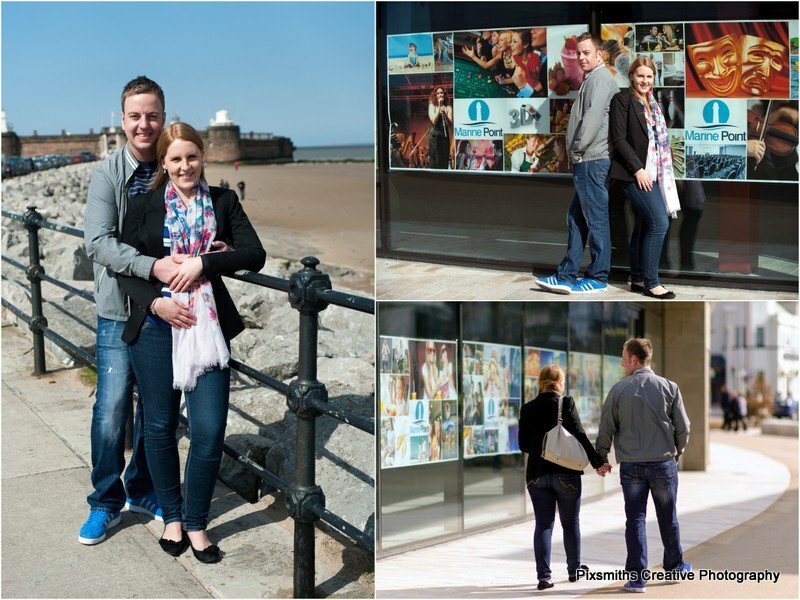 We soon felt relaxed with each other and set off for a stroll around New Brighton, a bit cool so with all the new cafes around we had to pop into Starbucks for a hot chocholate and coffees. 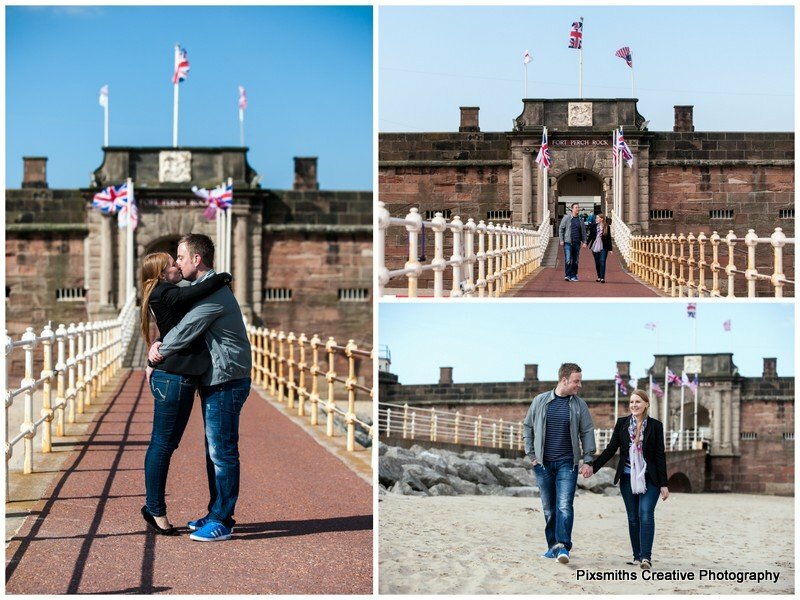 Plans for their summer wedding at Thornton Hall – hopefully in the pagoda – are well on track and we look forward to capturing the story of their day then. 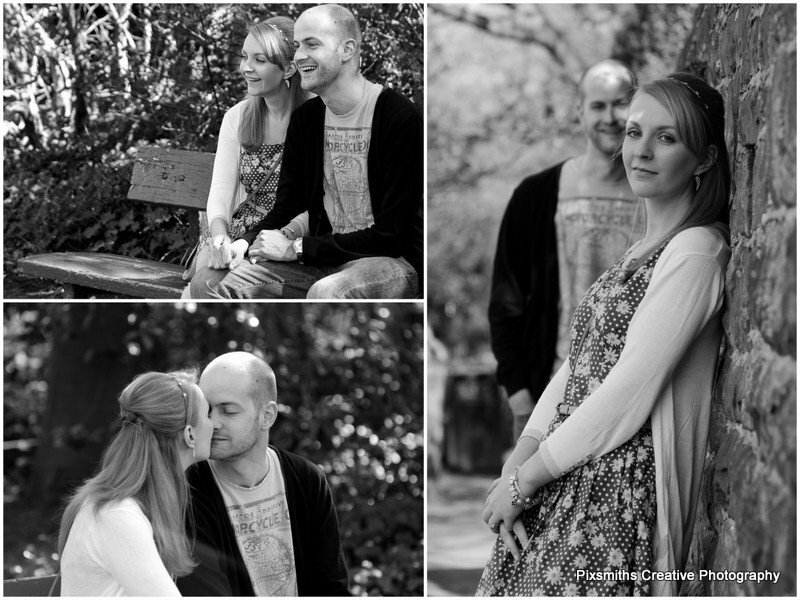 For now hope you enjoy some favourite images from the shoot.